Select your membership plan and get our best Harley how-to videos with 24/7 access to tips and techniques from our professional crew, automatic renewal and our ‘cancel anytime’ policy. We partnered with GoTraveler.com to bring you some great adventures on two wheels. In this video Dennis Gage, his son Sam, and famous motorcycle photojournalist Neale Bayly hit the roads of Quebec. They are riding Buell Ulysses motorbikes. FMH Members log in and check it out and make sure to see more at GoTraveler.com. Unless you have a kick-start, you’ll need a battery to get your Harley started and to keep it functional. 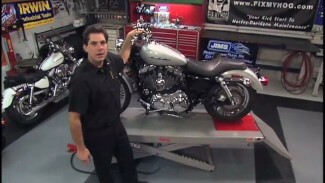 Bob shares some tips on Harley battery replacement and upkeep. 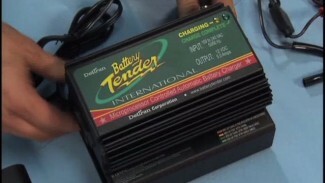 Tech review of the Harley Davidson charging system. Here’s an easy way to make sure you battery is charging. Everyone is at your house and ready to ride. You saddle up and CLICK, your Harley-Davidson does not start. 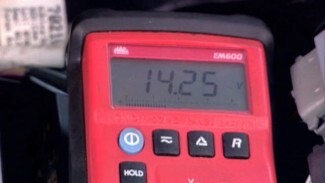 Bob and Mark review an easy way to check your battery and make sure it’s staying charged.